Sean Dyche has confirmed loan striker Patrick Bamford has returned to parent club Chelsea. And he is expected to link up again with Middlesbrough, who he helped reach the Championship play-off final in 2014/15. Bamford made only six substitute appearances for the Clarets - a total of 24 minutes - after arriving from Stamford Bridge in August. 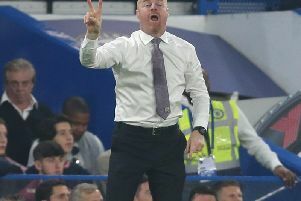 Dyche said simply: "He has been called back by Chelsea today. It's their prerogative." Boro are keen to reignite his career, having been named Championship player of the year in his season on loan. Boss Aitor Karanka admitted: "I've always said that Patrick, when he left, I told him that the door is always open to him. So let's see."